Effectively immediately, ORLGA is adopting in writing the previously verbal policy concerning the standard tee box to be used for Monday and Wednesday league play on Tiger’s Eye. The standard tee box will be Caspian or Gold tees. Further it is highly recommended that anyone with a handicap of 40+ play from the Tigress or Red tees. In the future, by 1 November of each year (the beginning of each ORLGA season), ORLGA participants shall declare which tee box they intend to use for the golf year (i.e., gold or red). Below is a full description of the adjustment to be made to a player’s handicap when playing from other than the standard (gold) tees. 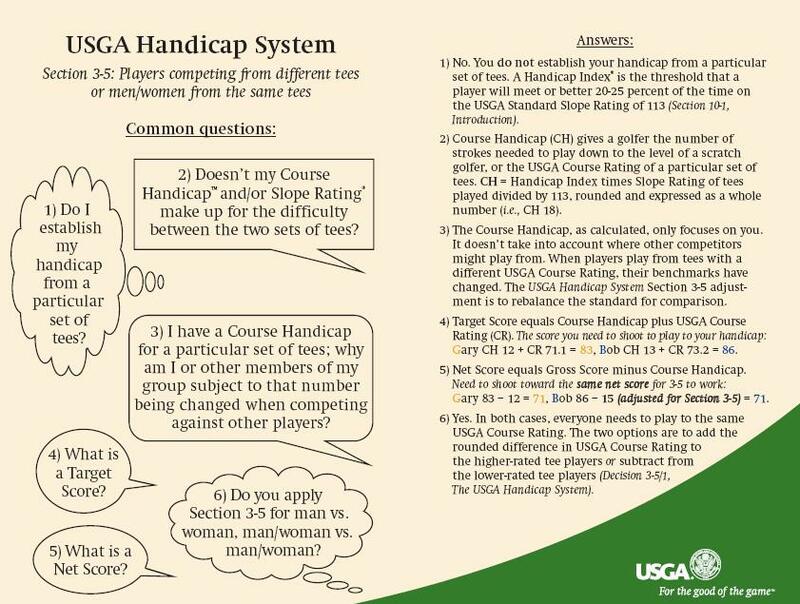 USGA Handicap System, Section 3-5. Players competing from different tees or men/women from the same tee. 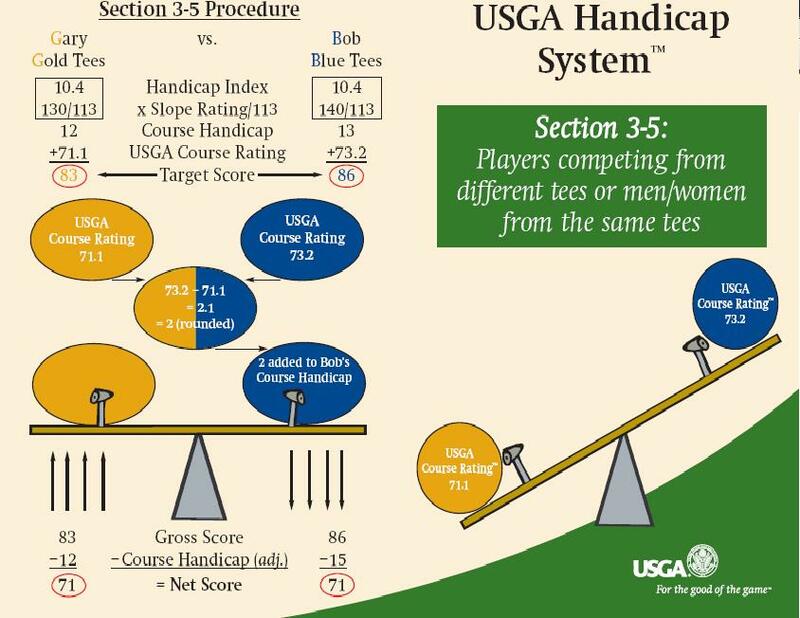 If players are playing from different tees during a competition or league play, an adjustment must be made to account for the difference in the course rating because the course length is shorter from the Tigress tees. Three strokes must be subtracted from the player’s Tigress or red tee handicap. To arrive at the three (3) strokes, you subtract the red (Tigress) tee course rating from the gold (Caspian) tee course rating. Caspian rating is 69.0 and Tigress is 66.3. The difference is 2.7 which rounds to 3 strokes. Subtracting the 3 strokes from the player’s red handicap now levels the playing field as the red tees are forward of the gold tees. If all the players are playing from the same tees, there is no need to factor in the difference between the tees. Player A has a red (Tigress) tee handicap of 22 with the 3-stroke adjustment, her strokes change to 19 from the red (Tigress) tees. As a point of information, even though this player’s index is 22.9, the strokes received for playing the red (Tigress) tees are less than the USGA index. Player B has an index of 30.6. Tigress tees 29 strokes and Caspian tees 33. This player should further receive a 3-stroke adjustment for the Tigress tees to 26. Below is a visual display of the application of this rule using two fictitious players, Gary playing from the Gold tees and Bob playing from the Blue (farther back) tees. Below that is a ‘Question and Answer’ addendum regarding the application of this rule.